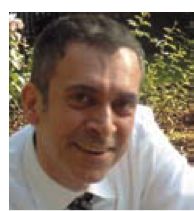 Apostolos Apostolidis, Assistant professor of Urology & Neurourology of the Aristotle University of Thessaloniki (AUTh), was honored with the Best Reviewer Award in 2011. He received the award by the Editorial Board of «The Journal of Urology» of the American Urology Association, for all his services and reviews of publications in basic research. The official announcement for the title awarded is to be made during a reception hosted by Elsevier, Publisher of the Journal of Urology, on Sunday, 20th May 2012, during the Annual Meeting of the members of the American Urology Association. Finally, in the June issue of the relevant publication, there will be a special version dedicated to Apostolos Apostolidis, explaining the importance of his work and the value of the awarded prize. It is noted that Apostolos Apostolidis is an ISUD Partner and Member of the ISUD Board of Administration (Institute of the Study for Urological Diseases). He received his Medical degree and completed his specialty in Urology (1998) in A.U.TH (Aristotle University of Thessaloniki). He then worked as a Research Associate of the Specialized Departments of Urology / Urodynamics and Andrology alongside with his PhD thesis (2004) authoring. He was Junior Registrar at the Urology Department of the General Hospital of Chalkidiki (2000-2002), when he received an annual grant from the European Urological Scholarship Programme for conducting research on the pathophysiology of the bladder sensory pathways and the use of experimental intravesical treatments (botulinum toxin reziniferatoxin) for the treatment of urinary incontinence due to neurogenic or idiopathic detrusor overactivity, at the Hospitals ‘National Hospital for Neurology and Neurosurgery’ and ‘Hammersmith Hospital’ in London, U.K.
After the end of the scholarship term and for the next 3.5 years, he continued to work as a Clinical Researcher at the Institute of Neurology, University College London (UCL) until 2006, when he was appointed Lecturer at A.U.Th. His collaboration with the UCL continues as he has been nominated Honorary Lecturer. From 2007 onwards he has been a Principal Investigator in a number of multicenter studies and research protocols. He has been President of scientific sessions at International Conferences. He has published numerous articles in Greek and international Medical Journals (49 articles in PubMed), having been honored with the Award for the Best Publication in the British Journal of Urology International in 2004. In 2008, he organized the 1st European Consensus Meeting on the Use of Botulinum Toxin in Urology (European Urology 2009, 55(1): 100-120). He is a Reviewer for International Journals, Editorial Board Member of the journals European Urology and Neurourology & Urodynamics and has a significant number of citations to his scientific work. In August 2011, he was elected Assistant Professor.